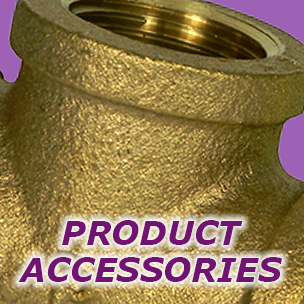 Cambridge Brass is a leading North American manufacturer of brass fittings for the waterworks industry. 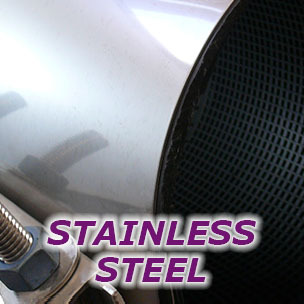 We take great pride in quality, innovation and customer service. For over 100 years, we have understood the needs of a changing market and continue to develop products for today and the future. 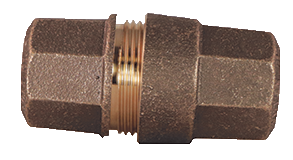 We offer a full line of corporation brass, curb stops, service line fittings, meter setters and accessories, iron yoke setters and fittings, repair clamps and saddles. Our “Vision” is, through ethical business practices and involvement of our employees and suppliers, that we will exceed industry standards in every stage of the business to provide superior value to our customers. 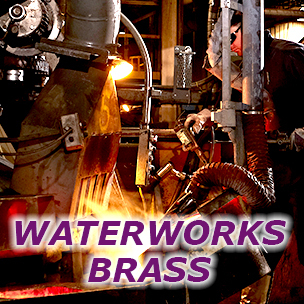 Our “Mission” is that through innovation, outstanding customer service, and attention to our environment, Cambridge Brass will lead in the manufacturing and supply of Waterworks products throughout North America. Our “Goal” is to work together developing as individuals and a team focused on providing exceptional customer service, quality excellence, and reducing waste in all areas in efforts to continually and profitably expand our business. Fast Connect Fitting 3/4", 3/4" x 1" & 1"
SAVE TIME. DO MORE WITH LESS. assembles with an average of one third the amount of rotations required for the standard three part couplings. 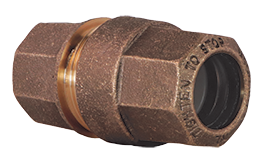 This reduces the amount of time installers are required to be in the ditch and the amount of repositioning of the wrench while installing. Contact Cambridge Brass for details.